If you are arranging your home because you moved recently, or perhaps because you feel that it’s time for a change, there are different ways that you can go about it. You can switch out the furniture, swapping old pieces for newer ones, or you might decide to get some vintage pieces if a contemporary look isn’t your thing. You can also change the art that you have featured in your home. If you live near the ocean, you might look for some surf art, or you might search for some pieces of sculpture that you feel match your aesthetic. You might also decide to find some pieces in the following three popular styles. Impressionist pieces trace their roots back to Paris in the 1860s. Impressionism spread its way through the U.S. and Europe, and some people to this day feel an affinity for pieces that correspond to the movement. Impressionism uses brushwork and light to capture the essence of a subject, be it a person, an animal, an object, or a landscape. With Impressionism, the artist’s conception of the subject matter is the focus more than the subject itself. Impressionism is about the beauty of storytelling, and homes with impressionist pieces in them often reflect the keen intellect of those who live there. If you’re an enigmatic person or one who does feel the need for realism in the artwork you feature in your home, then you might be drawn to some abstract pieces, which are at the opposite end of the spectrum from that. Abstract pieces don’t depict anything real, or at least that is seldom the artist’s intention. Instead, they use shapes, colors, forms, and gestural marks of the brush to convey feelings instead of ideas. These pieces are often great conversation starters because it’s fun for a group of people to look at them and talk about what they see or how the piece makes them feel. Pop art emerged in the 1950s, brought to the mainstream through the works of such artists like Andy Warhol. It’s a style on which many people can agree: it’s bright, fun, and colorful, and there is never any argument about what is being depicted. It’s perfect for a man cave, a kid’s room, or just about any other room of which you might conceive. Pop art speaks of mass media and popular culture, and it often ties into comic books, advertising, movie stars, and news items. You can find pieces that are retro or others that have a more contemporary style. 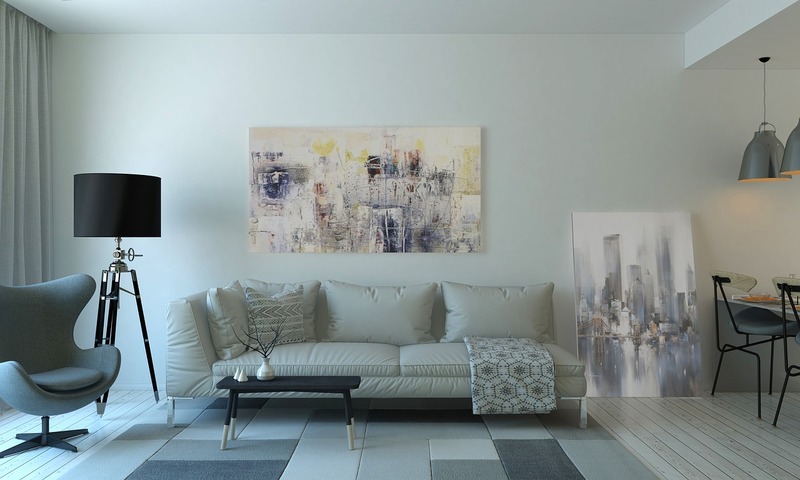 If you know that you’re going to have some visitors soon, whether they are staying with you or they’re just going to be dropping by for dinner or drinks, bringing in some new artwork can make you excited to show off your living space. The art that you have makes a statement about you, just like the clothes you choose to wear. Make a declaration of who you are by choosing an artistic style and some pieces that are representative of it.